Pam DeLissio has served the 194th Legislative District since 2011. The District includes parts of Philadelphia and Montgomery counties. She is currently in her 3rd term. Living and working in the District for over 33 years, she is proud to represent the 194th and is dedicated to her constituents and getting the job done with efficiency and determination. Pam works diligently to reflect constituents’ views. Equally important is her dialogue with constituents, particularly during 53 Town Hall meetings conducted over the past 5 years. Pam serves on the following committees: Health, Agriculture and Rural Affairs, Children and Youth, Aging and Older Adult Services, State Government and Policy. Pam is a founding member of the Government Reform Caucus. The Caucus endeavors to identify legislation that can garner bipartisan and bicameral support in the areas of campaign finance, non-partisan redistricting and voter registration and election reforms. In just a few short years Pam has been described as the ideal of a moderate, aisle-crossing, smart, non-extreme legislator that we do not have enough of in both parties. As of November 2014, Pam is a trained facilitator with the National Institute for Civil Discourse’s Next Generation Program. Having earned a bachelor’s degree in Health Planning and Administration from Penn State University in 1978, Pam has almost 30 years’ experience in the fields of long term care and small business ownership before being elected to the General Assembly. Pam is recognized for her strong leadership skills and has volunteered for a variety of professional and community organizations, often as a member of the board or chair of key committees. 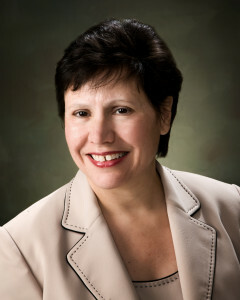 In 2005, she was named one of “Pennsylvania’s 2005 Best 50 Women in Business”. Pam received an honorable mention from the American Association of Homes and Services for the Aging for the AAHSA Development Corporation/B.C. Ziegler and Co. Strategic Financial Fellowship. She also was a finalist for a John Heinz Senate Fellowship.